The latest Maserati Quattroporte for sale is ready to hit the Chicago roads and turn heads. This distinctive, luxurious sedan is not only available with intelligent AWD, but with standard remote start and a slew of tech-forward features, the Quattroporte brings an elevated commute for all who wish to seek it. Learn all about this impressive Maserati offering and put one to the test at Zeigler Maserati of Schaumburg in Schaumburg. Check out our new vehicle incentives before you come for an extra added value. Black 2019 Maserati Quattroporte S Q4 3.0L V6. We proudly serve Schaumburg, Chicago, Elgin, Hoffman Estates, Crystal Lake and Arlington Heights. We look forward to making your experience at Zeigler Chrysler Dodge Jeep is as easy and enjoyable as driving your new car will be! If you have any questions, don't hesitate to contact us online, or stop by our dealership today! These advantages and more provide you with the Maserati distinction when you’re looking to step up your drive near Naperville. With a vehicle like the Quattroporte, taking on the road adds it’s flair with features like available 523 hp and and a max accelerating speed of 190 mph. You’ll enjoy comfort within the cabin with leather seating and advanced safety technologies like available Integrated Vehicle Control. 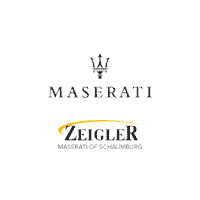 Come down to Zeigler Maserati of Schaumburg today to explore these highlights and more, and apply for financing before you visit to get one step closer to the Maserati Quattroporte for sale.